The brainchild of Midlake’s Eric Pulido, the band BNQT was first announced at the end of 2015, though it’s been slow going in terms of new information. The band was then known as Banquet and has since changed its name to BNQT while also finishing a debut album that’s slated for release on April 28. Volume 1 will be released by Dualton and keeps its status as an indie supergroup. 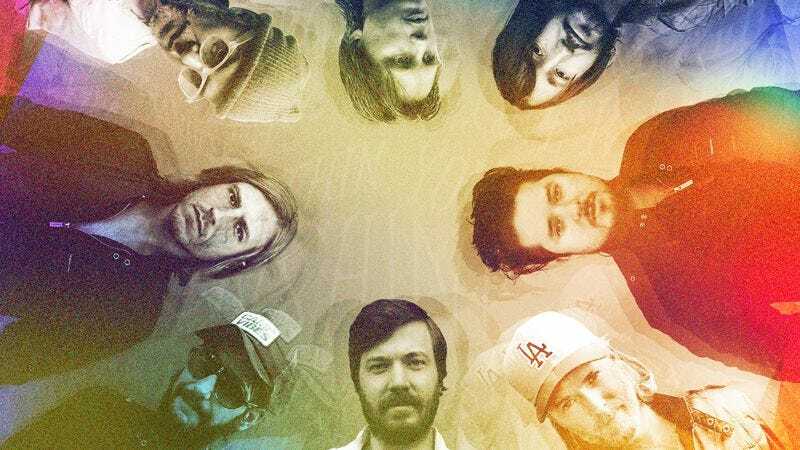 In addition to Pulido, the band features Ben Bridwell of Band Of Horses, Alex Kapranos of Franz Ferdinand, Fran Healy of Travis and Jason Lytle of Grandaddy. Today, BNQT has released its first song, the fuzzy, funky “Restart,” which can be heard below.